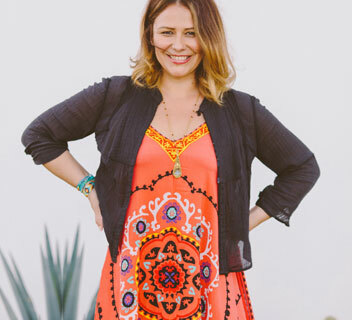 Tanya is Mexican by birth; she grew up in Baja California, Mexico´s border to San Diego, California, in an artistic environment which exposed her at an early age to the world of art and design. encouraged by her mother, she studied, besides her normal school obligations at the Iberoamericana University, with a fashion illustrator. Being influenced by Mexico and the US artists and has shaped Tanya with a bicultural sensibility. At the age of 17 she moved to Mexico City to study high school. The capital city immersed her into every kind of available art, museums, exhibitions, performances and all kind of culture which she thought fascinating. There she began painting and expanded her repertoire focusing in details. 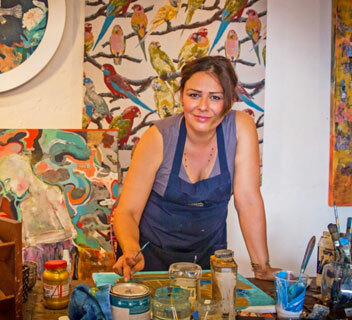 In the early nineties she moved to the small fishing town of Los Cabos, Mexico, where she began selling her work in local galleries and thereon, we can consider Tanya as a one of the first artist of the Baja peninsula. Flowers, native Indians and bright colors were shown in her early art collections. She obtained her bachelor degree in product design from the “Universidad Autonoma de Guadalajara” and later attended the “School of Fine Arts in San Miguel de Allende” where her exposure to all kind of arts was massive. For nine years she lived in Arizona, California, Maine and Vermont. It was in these places when she began creating interior combined with her artwork. She became a student at the “Scottsdale Artist League School”. She opened a Concept Store called “PALIA URBAN HACIENDA” right on Marshall Way which was the main street for art in Scottsdale, Arizona. “I was involved in decoration, custom made furniture and art”. The Four Seasons, Scottsdale remodel was among her most interesting and largest projects, she was hired to sell furniture Art and accessories, though she never stopped sending her work Los Cabos, Baja California Sur. 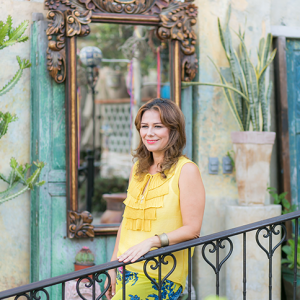 In 2010 she settled back again in Los Cabos where she founded “Studio TT Art School and Gallery”, which evolved, and continues to date being a the first formal school of art. The studio remains at the ONE & ONLY, Palmilla Resort. Currently she spends her time between Guadalajara, San Francisco, Los Cabos (Baja California Sur) and Punta Mita (Nayarit). We can say Tanya is very active and enjoys traveling all over adding her personal touch to everything she encounters. Communication is very important to her; she considers it at the success of an artist-client relation. From doing site inspections, managing projects, designing furniture, design execution and painting. I’m not a budding artist but I sure had fun. For those who are a little more serious, Art Loggia—a local artist in residence program led by Tanya Talamante—holds regular classes for adults and children. A native of Tijuana, Tanya studied industrial design but found art to be her true vocation. With her mother as her biggest supporter, she arrived in Los Cabos 24 years ago. The natural environment of this area has served as an inspiration for her work. As a resident of Los Cabos for over 20 years, Talamante has seen first-hand how dirt roads became two-lane highways and how property values soared.